It drives me nuts that all my of my weight loss surgery forums use abbreviations. I’m still a little old school that way. When texting became a thing and people were substituting 2 for “to” and 4 for “for” and U for “you” — it was a pet peeve. So of course now I start doing it. There’s a bunch of others, but I digress. Back to the NUT. In my last post I talked about going to see the nutritionist and going to support group. Apparently support group is cancelled for November and December, honestly the time where patients probably need it most! And that was one of the things on my mind for my visit. How the heck do you do Thanksgiving? I talked about my new found hunger and tracking that I am more hungry on running days. Found out I could have increased my portions to 1/2 cup a while ago. And I can have snacks if I am hungry. See…rulefollower strikes again! The book says do not advance past 1/4 cup until being directed to do so. And it also says 1/4 cup should satisfy you up to six months without snacking. So I didn’t snack. Thanksgiving. It’s basically the same rules. Protein first, then vegetable. My plan is turkey and Brussels sprouts. That should be fine. And I might bring a sugar free desert (pumpkin cheesecake or crustless pumpkin pie). I am NOT a baker so I may need to call in my wonderful husband for help. Growing up with a diabetic mom pretty much guarantees not learning how to bake for realz. 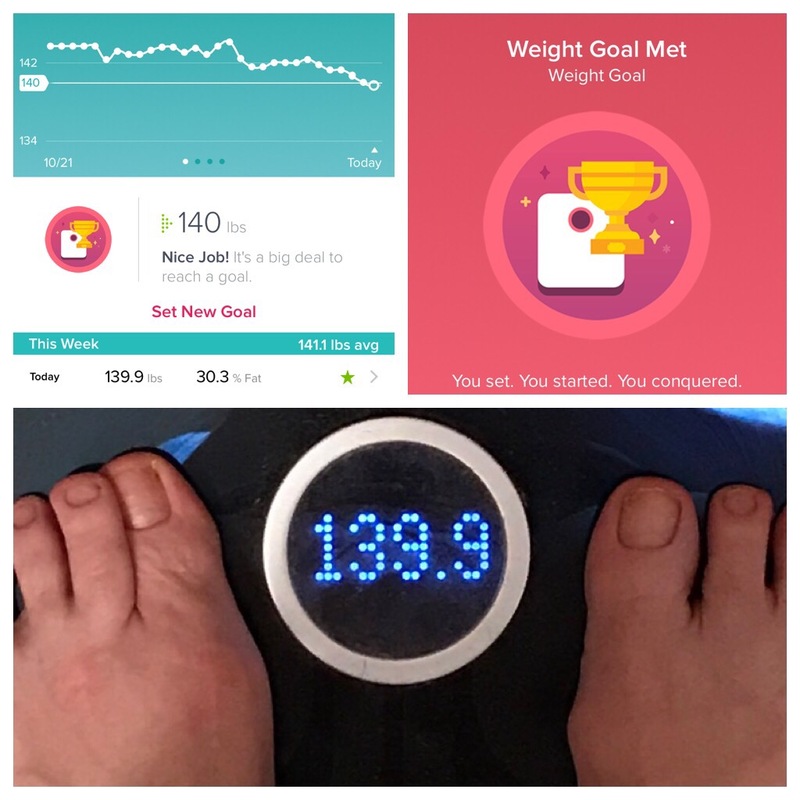 I talked about my goal weight. I am still shooting for 120 but I told her I want to see what that looks like. I don’t want to look sickly. And I don’t want to set something I won’t be able to maintain. It’s not that far out of reach and it blows my mind. So…I left there knowing I could eat more food and I could eat more often if needed. This did! The next chapter: 130s. Pardon the lack of pedicure. Since I added more food, I’ve budged the scale. The other thing is that now that I know I can have more food, I am less hungry. There really is an off-switch with a tiny stomach. You just have to listen to it. We are expecting that goal for me will happen around February at this rate. I am doing about a pound or so a week most weeks. Next month I get my vitamin levels checked and in January I get to see the doctor again for my 6 month visit. So there you have it…tales from the NUT.